STN contains a collection of resources in one location, as described here. As a result our notifications are not exclusive to newsletters. The purpose of this subscription is to keep you informed of any changes reflected within our . NOTE: the frequency of Updates could be multiple emails daily. The only downside for Weekly or Monthly, is that it might not contain all the postings within the time frame. Updates: Immediate notification of any announcements. 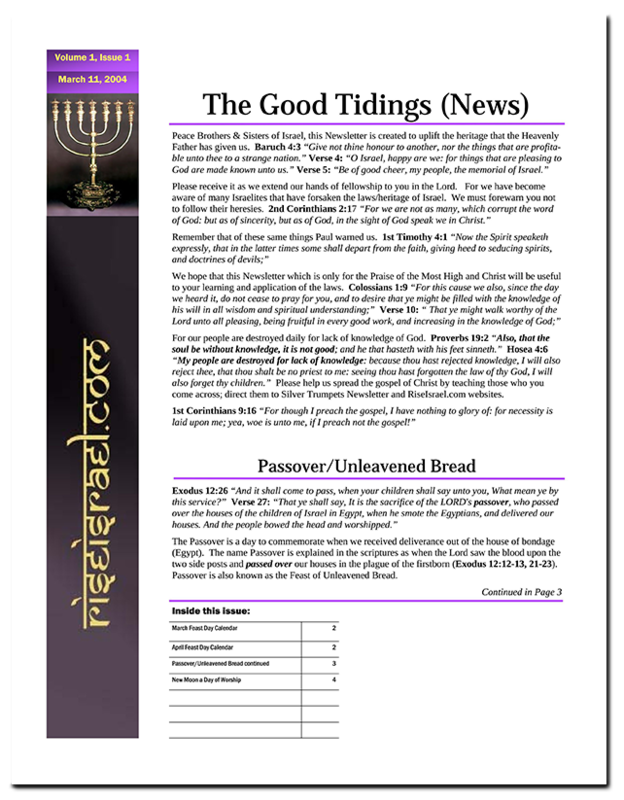 Such as uploads of videos, bible readings, podcasts, articles published through out our sites, and etc..
Weekly: This subscription keeps you informed by sending an email of the latest postings that occurred during the week. Monthly: If you only want to receive the newsletter, this list is the best choice. FYI, included in the email will be very few excerpts of previous postings. We have come a long way from how we used to announce the changes on the website. Above is an example of Webnews before blogs existed. It was not easy to update since it took so many steps to inform our visitors weekly. We thank you all for your patience, encouraging words through out the years, and future visits. Shalam!